Like Real Estate, it all comes down to Location! We offer high profile “STATIC” and “DIGITAL BULLETINS” that target the local audience but also reach some of the Ultra High Household Income audience as they travel between the numerous Northern California Markets and the Truckee, Lake Tahoe and Reno/Sparks Markets. We take a progressive approach matching our clients with the best inventory available (from all sources), not always exclusively our own, but rather what is best for you or your clients. If we don’t have the right match for your advertising campaign we will check with the other providers we have relationships with to find you the right location. Whether you’re a large national ad agency or a local business starting to research what Outdoor Advertising can provide for your business, we will help in any way we can and will save you the effort of shopping for Outdoor. We can show you opportunities that the others cannot provide. We have a combined local knowledge base in the Outdoor business that exceeds forty-five years and are engaged daily with all the new trends in the industry. We are very familiar with all the Northern California and Northern Nevada inventory (not just our own). We will share that knowledge to assist in your preparation to put an effective campaign in place for your business or your clients. We will become as involved as you wish to assist you in obtaining a display or developing a comprehensive campaign. We can assist you in creating impactful campaigns and will make recommendations (if welcomed) to help you arrive at the best value and best products for your Outdoor Advertising campaign and budget. Our recommendations using various Outdoor products will depend on your budget and your objectives. Graphically, outdoor advertising is a much different advertising medium than most other mediums you may employ in your marketing effort. We will work directly with your creative person(s), or can recommend graphic designers who specialize in outdoor should you require creative services. We participate throughout the process and will make suggestions to refine your outdoor creative for the greatest impact, if permitted. We also help coordinate the production and the installation of your campaign to ensure yours/our success. “Timing is Important”. Finding the right/best inventory requires understanding the regional market and those companies who have appropriate inventory that can support your marketing effort. Regional awareness is huge and being connected/familiar in that market with all the inventory is very important to deliver results in a timely fashion. Upon your decision to proceed with outdoor advertising, we will research and reserve space in an expeditious fashion to lock in the best possible inventory. We will discuss your advertising goals and the various forms of Out-of-Home Advertising products available in your market. What we will recommend depends on the products available and the results our advertisers are seeking. With an agreed upon budget for the market, we will then execute a plan to put an effective high profile campaign in place for your company, product, and/or services. Our job is to assist you or your clients to obtain effective Outdoor exposure that will ultimately drive more business to your business. 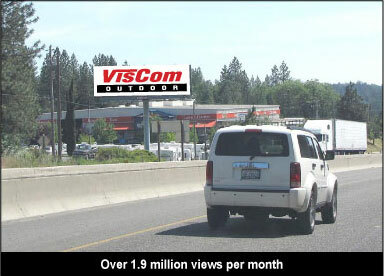 We view ourselves as business partners specializing in marketing, utilizing outdoor media. If you succeed, we succeed… and will enjoy a long term client relationship. Contact us today and let us know how we can assist you!